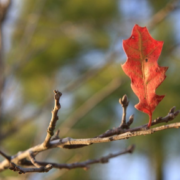 A lonely leaf on a tree…. That’s the feeling that I have experienced in the past while working remotely on long-term client engagements. It’s easy to feel disconnected from the goings-on at company headquarters when you are only there a few times a month or year. I know the opposite to be true as well. Companies want their remote employees to feel like they are still part of the team. Countless articles have been written on this topic and the use of technology is often listed as one of the ways to keep remote employees engaged and feeling like part of the team. One tool that that helps me feel more connected with my colleagues is Microsoft Delve. Delve is Microsoft’s information discovery tool that uses machine learning to deliver relevant content to users. Upon opening Delve, users are immediately presented with files that it calculates would be of interest to them based on their relationships with their colleagues and most importantly permissions to access those files. Delve respects existing permission setting to content. If a user does not have permission to access a file, that file will not show up in their Delve interface. Delve presents data in a modern card-based interface, like other well-known social media sites. Each file card displays the author of the file, the name of the file, location of the file, and a thumbnail image of the file. Users can also mark files as favorites and pin cards to boards for organization and easy retrieval. Delve makes it easy for users to find their recently accessed files from SharePoint online, OneDrive for Business, and even SharePoint on-prem. Users can also discover information about their colleagues such as their recently accessed files, as well as contact information. Again, all file access is based on permissions. Users will not see files they do not have permission to see. I use Delve to help feel connected in several ways. 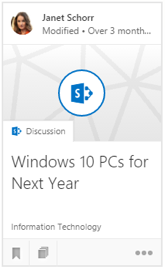 First, I use it to keep up with hot topics that others in my company are presenting on. I also use it as a learning tool. I have a colleague that is a master at creating PowerPoint presentations. I often download and dissect his presentations to learn how he created his transitions and animations. Again, this is all permission based. I only see the files that I have permission to see and download. Finally, I use Delve to find stock photography that was created by our graphics department. By clicking on the name of our graphic artist, I can see her most recently created images. Jeremy Thake, from our friends at Hyperfish, also has an interesting take on Delve. Check out their blog article here. Delve is part of the ever evolving Office 365 services available as part of an E5 subscription. Our team of experts can train your organization on how to use Office 365 to stay connected. If you want a full implementation plan for Office 365, our managed services team can make sure your organization benefits from the latest available from Microsoft. For questions about either, please contact us. Microsoft Office 365 Flow General Availability Does Our Government Contractor Need to Move to Gov-Cloud?